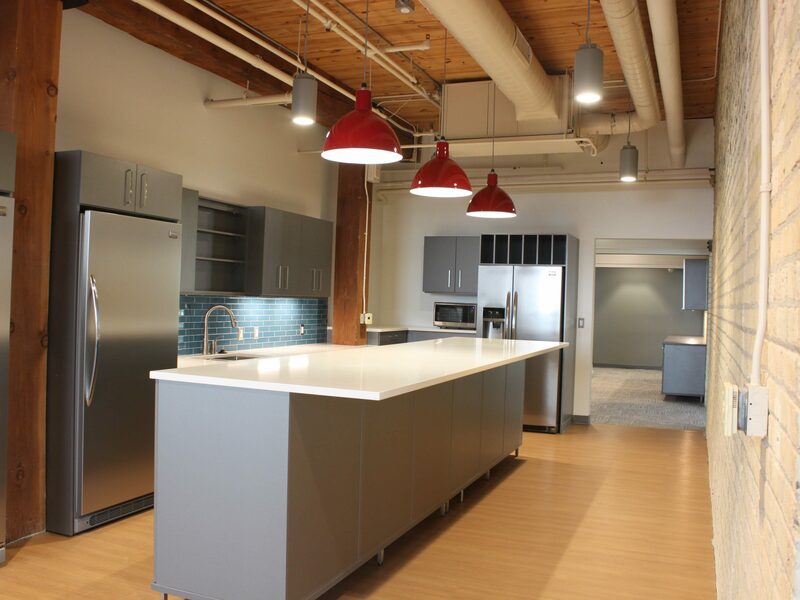 Wolverine Building Group performed a complete remodel of the Lighthouse Group office located at 56 Grandville Ave. SW, above the Beene Garter office, in downtown Grand Rapids, Michigan. 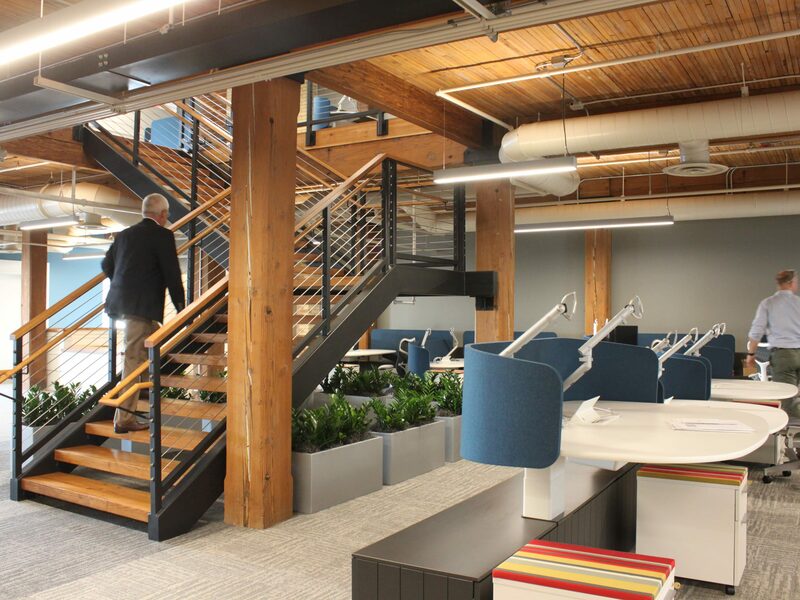 The $1.8 million renovation project included demolition of the existing office space, the addition of a decorative staircase connecting the third and fourth floors, all new finishes and partitions, a new break room and unisex bathrooms, replacement of nearly half of the existing heat pumps, and new power and data sources to work stations and lighting. 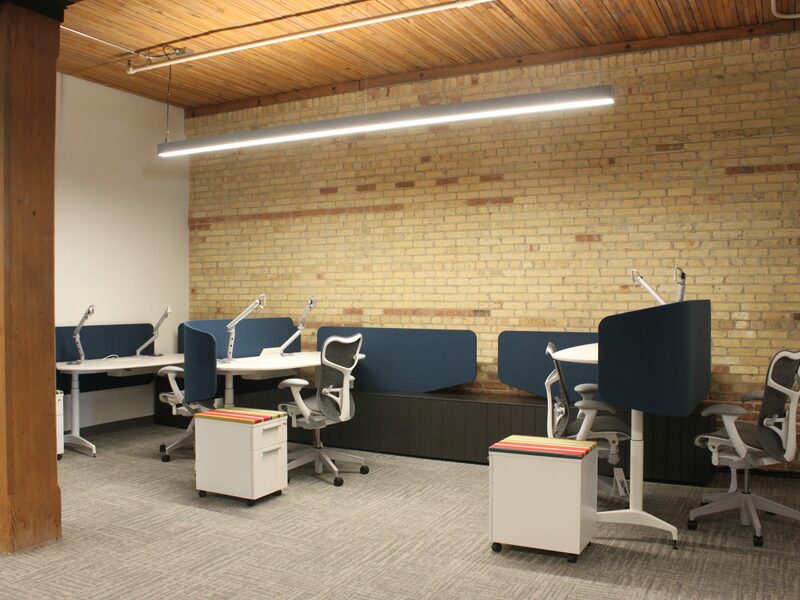 The modern, open-concept office, which houses nearly 150 employees, features a custom slatwall in the reception area and MarxModa furniture supplied by Herman Miller. The historic building was originally constructed in the 1870’s and used as manufacturing space.